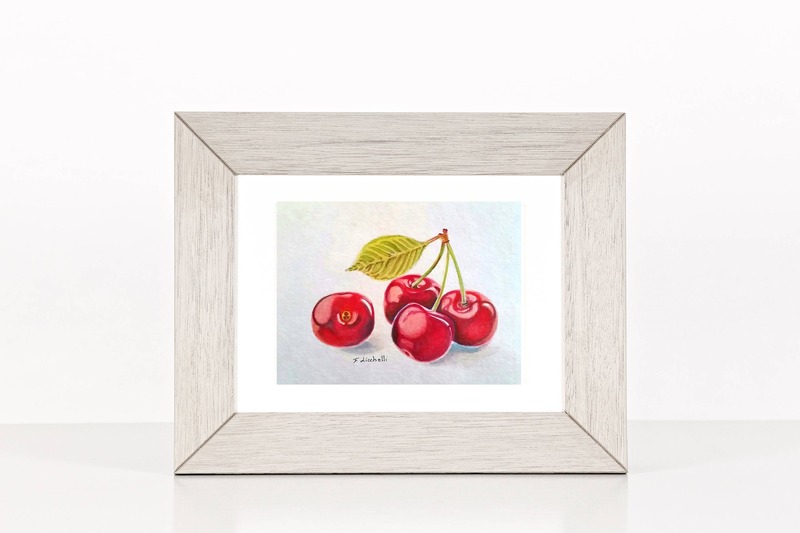 Cherries, giclèe fine art print, A5, A6, traditional kitchen decore, wall restaurant, small picture, original watercolor, scrapbooking card. A6: dim. 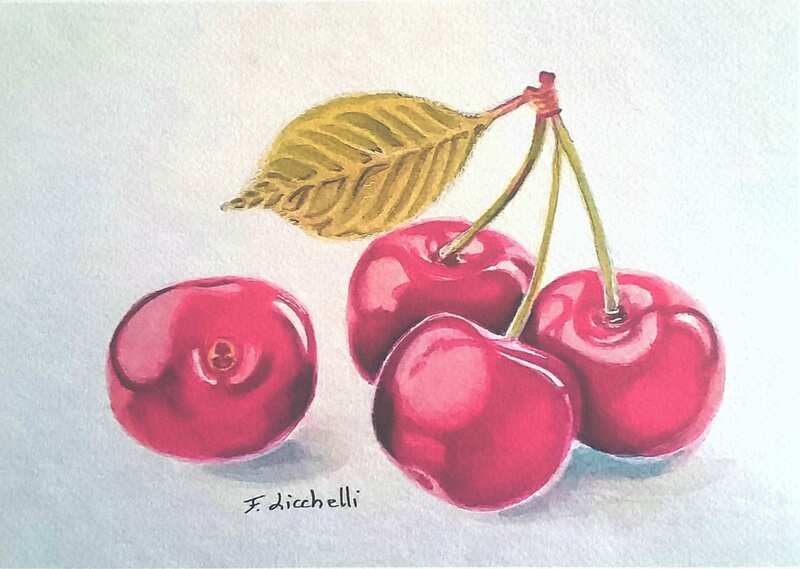 10,5 x 14,8 cm./ 4,13 x 5,8 inch.